Michael Watson Designs has been involved in the Outdoor Industry since 1984 and since that time has developed a range of competencies to assist you in defining and recommending products for your project. In 2011 we purchased the agencies of Michael Hitchen Pty Ltd. Mike Hitchen has been a central figure in the supply of technical and performance textiles and so we can provide a continuing high level of service for Australian and New Zealand labels. One of our passions is the outdoors so through our trekking, bushwalking, kayaking, skiing and just by being outside we appreciate what performance fabrics bring to our lives. We have also since expanded our level of service to stock seam sealing tapes from Ardmel automation and San Chemicals (Melco brand) and essential parts for Ardmel seam sealing machines which can be dispatched same day to meet urgent production needs. 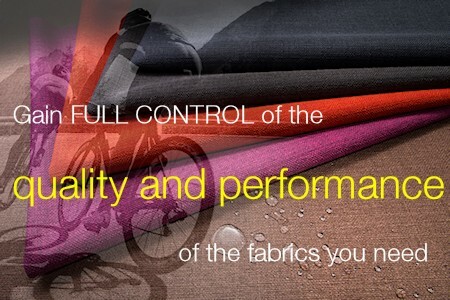 We also have access to Masuda in Japan’s vast range of performance textiles ex stock. We believe that the best approach to Garment design is to take control of, and specify the fabrics that are used by the manufacturer whether they are in New Zealand, Australia or China etc. This ensures quality and function to give you the best value for money. When quality is important you don’t want to compromise on unknown fabrics.